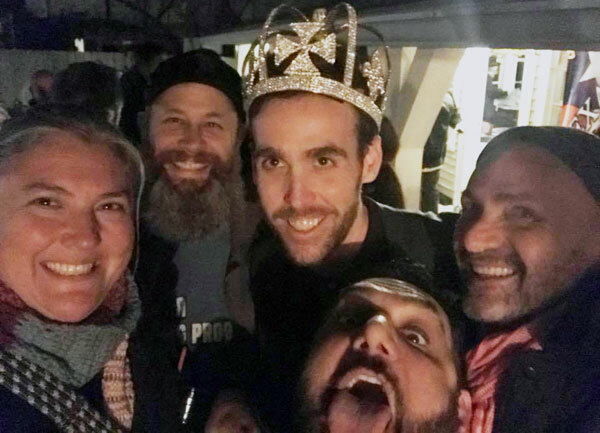 In a January 19 announcement, the board of directors of Fiesta Cornyation named Charlie Biedenharn as this year’s King Anchovy LIII. 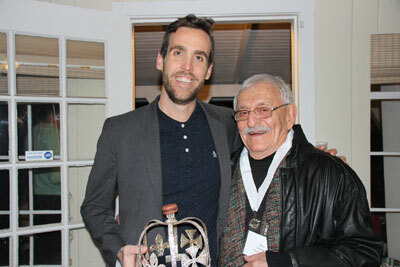 Ray Chavez, the reining coordinator of Cornyation, introduced Biedenharn during a soiree at the home of last year’s King Anchovy LII Jeffrey James. Biedenharn is co-owner, with Anne Ng and Jeremy Mandrell, of the three locations of Bakery Lorraine, which has been named a best new bakery by Food & Wine and one of “13 Destination Bakeries” by Conde Nast Traveler. 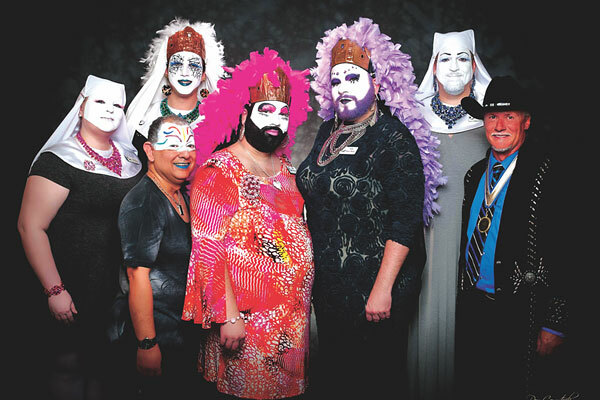 Biedenharn will preside over six performances of Cornyation, billed as “the raunchiest, cheapest event of Fiesta.” The shows are scheduled for April 24 to 26 at the Charlene McCombs Empire Theatre. King Anchovy LIII Charlie Biedenharn with Fiesta Cornyation’s Ray Chavez. Cornyation is one of the most popular events held during Fiesta San Antonio, typically selling out weeks ahead of time. It has donated over $2 million to local charities over its life as a nonprofit organization. In recent years, Cornyation has raised in the neighborhood of $200,000 annually. 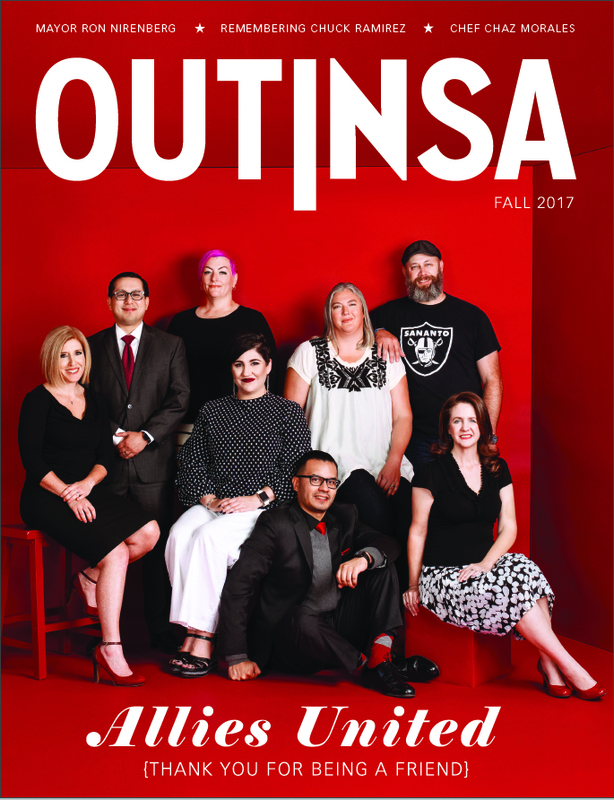 Past recipients of those funds include the San Antonio AIDS Foundation, BEAT AIDS and the Thrive Youth Center for homeless LGBT youth. Additionally, Cornyation awards Robert Rehm scholarships to college students pursuing a degree in a theater arts-related field. The scholarship provides $5000 a year for up to four years of study. Fiesta Cornyation, April 24 to 26 at the Charlene McCombs Empire Theatre. Orchestra seating $40, Mezzanine seating $30, Balcony seating $15.Tickets go on sale Friday, March 24, 2017 at 10 a.m., at Charline McCombs Empire Theatre Box Office, Ticketmaster sales open at 11 a.m. 210-226-5700. [email protected].